As the Treasure Coast's first licensed Acupuncturists, we have been serving our community for over 20 years. We pride ourselves on providing one-on-one, individualized, private consultations and treatments at a reasonable cost. Our practice offers a variety of services including: Acupuncture, Traditional Chinese Medicine, Pain Neutralization Technique, Certified Clinical Thermography, Cupping Therapy, Herbal and Homeopathic expertise. Please visit us at our new locations at Acupuncture & Natural Healing at the Treehouse. 3 North Main Street, Sparta, NC 28675. We are available by appointment. from the Acupuncture and Natural Healing Center. 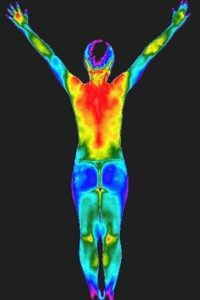 Lecture on Thermography this Saturday!! Copyright © 2019 Welcome to Our Practice All Rights Reserved.